The FBI has had some of its telephone wiretaps disconnected because it failed to pay its bills on time, a US government audit has found. The Department of Justice said some of the agency's surveillance operations had been jeopardised by late payments and an "antiquated" accounting system. 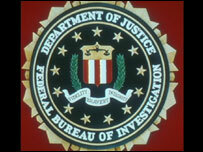 The audit also revealed an FBI employee had admitted stealing $25,000 (£12,745) intended for undercover phone services. The FBI said the operations in question had not been significantly affected. In August, President George W Bush updated the Foreign Intelligence Surveillance Act (FISA) to allow the tapping without warrants of telephone calls and e-mails routed through the US. Previously the government had to seek approval from a special court in advance. The audit conducted by the justice department's inspector general, Glenn Fine, concludes that phone lines which were established to eavesdrop on suspected criminals were disconnected because of late payments. In some cases it caused evidence to be lost. In one office the unpaid costs for wire taps from one phone company came to $66,000 (£33,640). The audit blamed the lost connections on the FBI's lax oversight of money used in undercover investigations. The FBI has acknowledged a few instances in which late phone bills led to surveillance disruptions. Assistant FBI Director John Miller said wire taps were dropped only a few times because of backed up billing which he said did not significantly set back investigations which were under way. The American Civil Liberties Union said the report highlighted hypocrisy from telephone companies that want Congress to give them immunity from law suits or co-operating in certain wiretaps on the grounds that they were acting only as responsible corporate citizens.